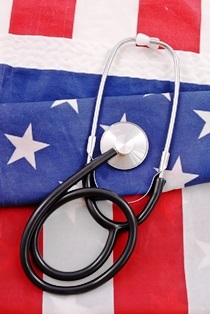 The Difference Between New and Reopened VA Disability Claims Since there are many levels of appeal, it is important to know the difference between new and reopened VA disability claims. If you’ve returned from military duty with a service-connected injury or illness, you’re likely familiar with the process necessary for applying to get disability benefits from the United States Department of Veterans Affairs (VA). After filling out a great deal of paperwork and pulling together the medical evidence needed to prove your claim, you still might have been denied by the VA.
To get a claim reopened, you need to provide new and material evidence to the VA—the claim can’t simply be opened automatically. This evidence is information, medical reports, doctor opinions, a new diagnosis, lab findings, and/or other documentation you didn’t submit with your original application and is so significant and substantial to your claim, the VA would find it unreasonable to ignore it. On the basis of the new evidence, the VA must feel that there’s a solid possibility that the claim could be approved. We can help you appeal the denial of a re-opened claim. Cuddigan Law has years of experience assisting veterans file applications and appeal denied claims, and they can help if you want to reopen an existing claim. Our skilled VA disability attorneys will examine your specific case and look at your new and material evidence to determine if it’s substantial enough to help get you an approved claim.